​Earlier this year, Editor-in-chief of Latino Book Review, Gerald Padilla, was contacted and invited to be a juror in the writing category by the Scholastic Art & Writing Awards. As you can imagine, it was a tremendous honor for Latino Book Review to receive such an invitation from the nation's most prestigious Arts and Literature youth awards. It was also a milestone to witness an international powerhouse such as Scholastics collaborate with a Latino literary platform such as this one. On June 8, 2017, the Scholastic Art & Writing Awards culminated with a grand ceremony in New York City. 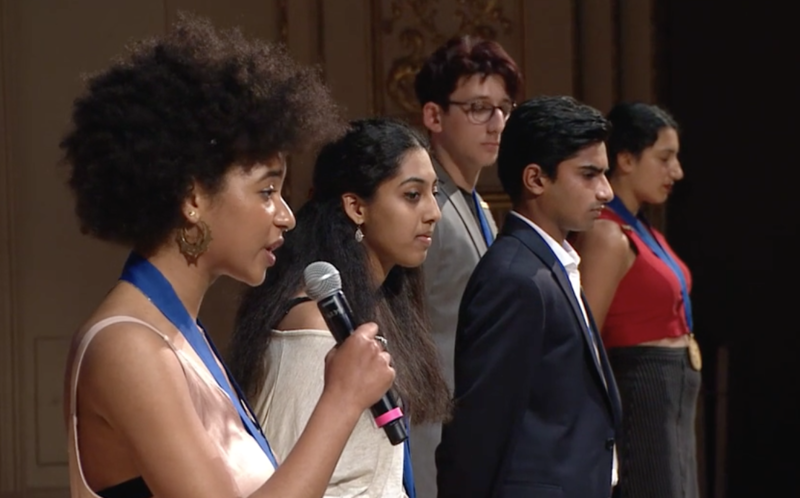 Hundreds of guests filled the Carnegie Hall to recognize the Scholastic Art & Writing Award winners who where selected out of more than 330,000 submissions from all over the country. 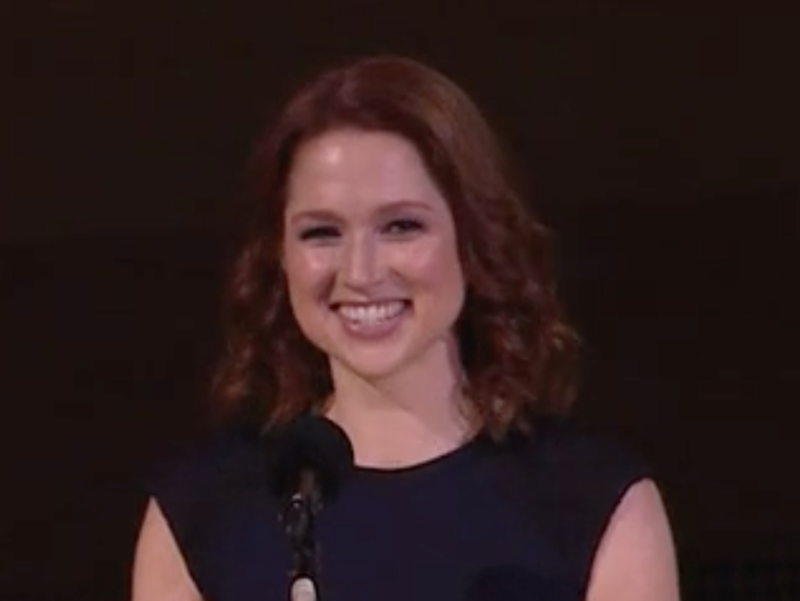 Actress and comedian Amy Schumer, CEO and President of Scholastic, Richard Robinson, Michelle Obama, Executive Director of Alliance for Young Artists & Writers, Virginia McEnerney, actor Ellie Kemper, artist Paul Chan, and actor Allison Williams (Girls & Get Out) addressed the 2017 National Medalists and their families. Throughout the history of Scholastic Awards, many luminaries have lent their expertise as judges, including Langston Hughes, Robert Frost, Judy Blume, Billy Collins, Paul Giamatti, Francine Prose, Edwidge Danticat, David Sedaris, Lesley Stahl, Nikki Giovanni, Roz Chast, Wangechi Mutu, Andres Serrano, Kiki Smith, Jill Kraus, Shinique Smith, Rashid Johnson, and Waris Ahluwalia. Jurors look for works that exemplify the Awards’ core values: originality, technical skill, and the emergence of personal voice or vision. Likewise, the history of the Scholastic Awards is rich with notable alumni. The list includes artists like Andy Warhol, Sylvia Plath and Joyce Carol Oates, whose creativity has forever changed contemporary art and writing. The list of notable Alumni also includes Richard Avedon, Truman Capote, Cy Twombly, John Updike, Carolyn Forché, Stephen King, Kay WalkingStick, Zac Posen, Lena Dunham, Richard Linklater, and many more.